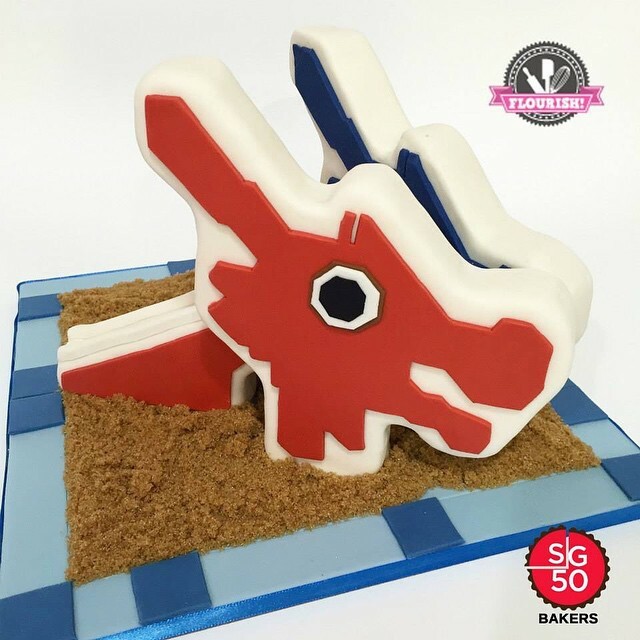 This Used To Be My Playground – Our contribution for the ‪SG50 Bakers collaboration. I was one of the lucky 19 SG50 Bakers who submitted a cake design for Singapore’s 50th. We’ve come a long way and while I enjoy the creature comforts of our modern city, I often long for the simplicity of my childhood which is why I chose to recreate a typical playground from my youth. We had no padded playgrounds with rounded edges in my day. If you fell, it was blood, grit and tears…and very often, additional “injury” from parents! These days, when I talk to friends & family who grew up in Singapore, I find myself beginning sentences with ‘Remember the days…’. So to all my friends here in Singapore…Remember the days we only had each other to entertain ourselves (no phones or tablets! ), kicking up sand and scrapping our knees, playing till the sun set still begging our parents for another 10 minutes. The beautiful days of growing up in this place I call home. ‪Beautiful Singapore.